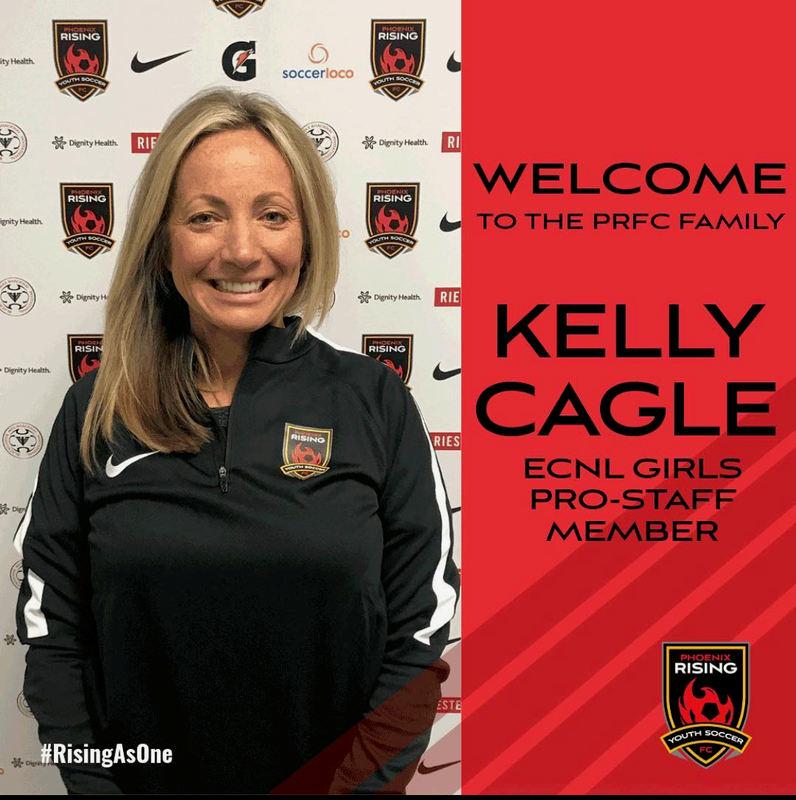 Phoenix Rising FC Youth (PRFC) is delighted to announce the addition of Kelly Cagle to the Girls ECNL Coaching Staff. In addition to coaching teams, Kelly will be instrumental in initiating performance related programs for our players. ﻿Chris Brown, Executive Director of Phoenix Rising FC Youth Soccer, commented, "We continue to strive to create a better experience for all of our players, and we wholeheartedly believe Kelly will have a big impact on our ability to take our ECNL Girls Program to the next level. To hire someone of Kelly's caliber speaks volumes for our organization, and I look forward to working with her on all aspects of coach and player development." ECNL Girls Director Paul Taylor echoed those thoughts, saying, "Kelly's renowned leadership and motivational skills, combined with her extensive experience in developing youth players at the highest level will undoubtedly elevate our program to new heights." Kelly joins PRFC Youth from her role with US Soccer as both a Coach and Scout for the Youth National Programs and Phoenix Rush. After an accomplished playing career, earning All-American honors 3 times at Duke University, and playing professionally for Atlanta Beat, Kelly took on the Head Coaching role at Virginia Tech for 7 years after having been an Assistant Coach at both Wake Forest and University of Texas (Austin). Kelly stated "I am thrilled to be joining the PRFC team, and I am thankful for the opportunity to continue to impact young people through soccer. I have been blessed to be a part of great soccer families throughout my career, and look forward to learning from and impacting the PRFC family at every level. It's an exciting time to be Rising Together." We are extremely excited to welcome Kelly and her family to ours.